It is a quick growing, short duration crop and takes 50-55 days for first cut. 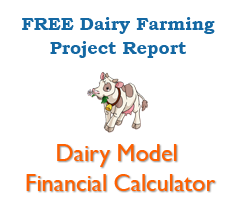 It is a most suitable fodder crop for dry farming areas. It is has prefuse tillering, drought and heat tolerance, high photosynthetic efficiency, cosmopolitan character with regard to adaptation to different soil types, high dry matter production and high protein content. Before flowering its stems are soft and juicy but its nutritive valve falls quickly after flowering . It contains oxalic acid but within safe limits. 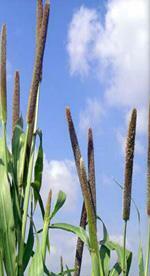 It is crossed with napier grass to produce hybrid napier grass which has been adopted widely. Soil and climatic requirements:- Warm and dry weather with intermittent showers of rain followed by bright sun shine is suitable for its cultivation. It can be grown in loamy sand to clay loam soils. Acidic, alkaline and water logged land is not suitable. Time of sowing:- It can be sown from February to November in south India and from March to August in North India. Seed rate and spacing:- 3-4 kg seed should be sown per acre by drilling or kera method in lines 25-30 cm apart. Manure and Fertilizer requirement: Jowar responds well to the application farm yard manure and compost. Apply 10 ton farm yard manure or compost per acre one fortnight before sowing . In addition to it aply 25 kg urea at sowing time and 25 kg urea 25-30 days after sowing. In the absence of farm yard manure application it reuires 110 kg urea per ace. In addition to this in two split doses. Half of the urea should be applied at the time of sowing and remaining half 25-30 days after sowing. Fertilizer application: In irrigated areas 40-50 kg nitrogen/ha should be applied in two doses. Half of it at sowing and half after the first irrigation. However in sundry spils second dose can be further splited into two doses and applied after first and second irrigation. Weed control:- Pre-emergence application of simarze/atrazine 0.2kg. per acre gives effective control of weeds. In single cut varieties cutting should taken at flowering stage while in multicut varieties. Harvesting:- Boot stager or early flowering stage is suitable forfor first cut (50-60 days after sowing) and subsequent cuts may be taken at 40-45 days interval.